Soil temperatures have warmed into the 60’s and there is little chance we will see another frost this spring in central North Carolina, which means it is time to plant warm season crops. Among summer garden crops, tomatoes are the most popular but are also the most problem prone. This does not mean you cannot grow a bumper crop of delicious, home-grown tomatoes. Cultivating a healthy tomato crop begins with following best planting practices for our region. Keep the following tips in mind as you plant this spring to maximize your chance of having a successful tomato growing season. Like most vegetables, tomatoes grow best when they receive eight hours or more of direct sunlight each day and are planted in soils with good drainage or in raised beds. Prepare your soil before planting by spreading two to four inches of compost, aged manure, ground pine bark or leaf mold over the surface and tilling it into the top six to eight inches. Tomatoes grow and produce best when daytime temperatures range from 70 to 80 degrees, and night temperatures fall between 60 to 70 degrees. Most of our summer days exceed these spring like temperatures, which can cause tomato plants to shed their blossoms without setting fruit. Fruits that do ripen when daytime temperatures reach into the mid 90’s have less flavor, ripen unevenly, and may develop hard white areas inside the flesh. Planting tomatoes as early as possible will give plants more time to grow and produce under ideal temperatures before the hottest part of summer. Tomatoes are one of the few vegetables that have the ability to produce roots along their stem. Setting the root ball two or three inches deeper than soil level at planting time will result in plants with larger, more extensive root systems. If you have plants with long leggy stems do not bury the root ball several inches deep. Instead, dig a shallow trench and plant them lying sideways, so the leggy part of the stem is planted horizontally two to three inches below soil level. Space tomato plants at least three feet apart and place a cage around plants to support them as they grow. Mulching the soil underneath and around tomatoes will help keep soil moisture even and soil temperatures cooler during summer. There are hundreds of tomatoes varieties available, with dozens of new varieties introduced each year. Give yourself the best chances of success by planting several different tomato varieties. Cherry tomatoes are the easiest to grow and every garden should include at least a few of these highly productive plants that yield dozens of small fruits on long trusses. Gardener’s favorites include ‘Sweet Million’, ‘Super Sweet 100’ and ‘Juliet’, though to be honest I have never seen a cherry tomato that did not thrive. Heirloom varieties have been in cultivation for generations, with seeds saved and passed on from one year to the next. These varieties were selected for flavor above all else. Many heirlooms are regionally adapted and not all produce well in the south. Some heirlooms adapted to southern heat and humidity include ‘German Johnson’, ‘Marglobe’, ‘Cherokee Purple’ and ‘Homestead’. Hybrid tomato varieties offer the benefit of increased disease resistance. ‘Celebrity’, ‘Early Girl’ and ‘Better Boy’ are reliable hybrid tomatoes for the south. 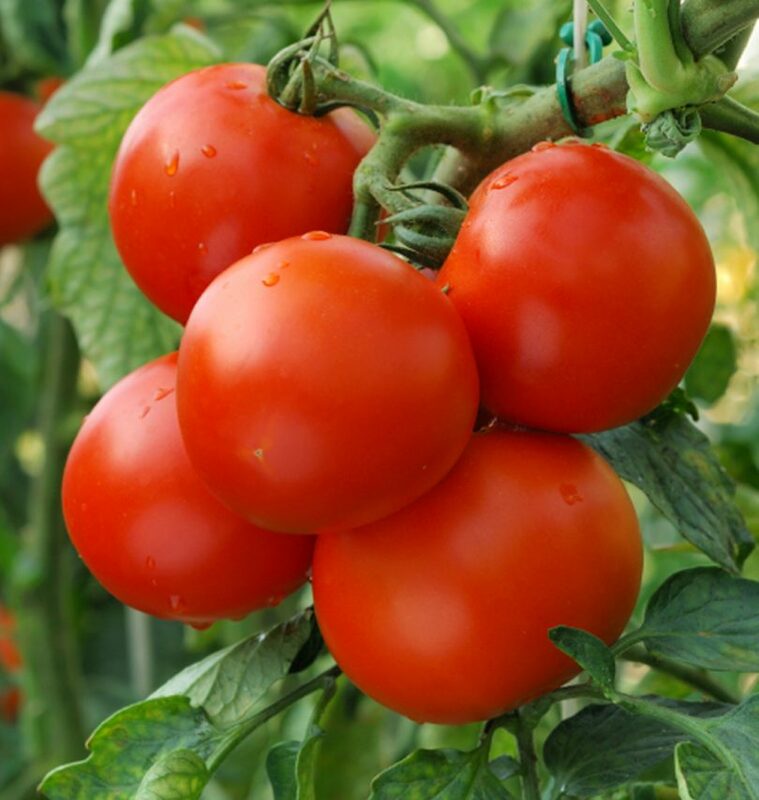 All three produce medium to large size fruits and are resistant to fusarium, one of the common soil dwelling diseases that causes tomato plants to wilt. ‘Celebrity’ and ‘Better Boy’ are also resistant to root knot nematodes. Planting disease resistant hybrid varieties will increase your chance of success, but keep in mind no one tomato variety is resistant to all, or even most, of the diseases that commonly plague this popular crop. Newer disease resistant hybrids developed by NC State for North Carolina conditions include ‘Mountain Pride’, ‘Mountain Fresh’, ‘Fletcher’ and ‘Mountain Magic’. When choosing tomato varieties, bear in mind the larger the fruit the more finicky they are to produce. If you want to try growing large beefsteak type tomatoes, varieties such as ‘Big Beef’, ‘Big Boy’, or ‘Beefmaster’ are your best bet in the south, but even these varieties are likely to produce poorly during the heat of summer. When purchasing tomato plants, look for the word determinate or indeterminate on the label. Determinate varieties stop growing once they reach full size, which is usually three to four feet tall. These plants set all their fruit at once and typically bear tomatoes over a four to five week period and then are done. Due to their smaller size, determinate varieties work well in containers and are also favored for canning since they bear a heavy crop that ripens in a short period. Most modern hybrids and bush varieties are determinate. Indeterminate varieties continue to grow all season, setting successive crops of fruit all summer and into the fall, if you can keep pests away. Because they keep growing, indeterminate varieties get large, often six feet or more, and need sturdy cages for support. Indeterminate varieties are popular among home gardeners because they bear over a long season. Most cherry tomatoes are indeterminate, as are most heirlooms. If you have room, plant tomatoes in several different spots around your yard, rather than all together in one bed. This will lessen the chance a pest or disease will attack your entire crop. Another practice that helps minimize pest pressure is crop rotation. To practice crop rotation, avoid planting tomatoes in the same location year after year. In addition, do not plant tomatoes in the same location where peppers or eggplant grew the previous year. These crops are in the same family as tomatoes and host the same pests and diseases. If you have had problems with tomato wilt diseases in the past, consider potting plants in large containers filled with potting soil. Whether you plant in containers or garden beds, apply a slow release fertilizer when you plant. Slow release fertilizers include organic fertilizers such as Plant-tone as well as time release products such as Osmocote. Supplementing plants with liquid fertilizers such as compost tea for the first few weeks after planting will help them establish quickly, but there is no need to liquid feed plants all season. In fact, over fertilizing with nitrogen reduces fruit set and encourages blossom end rot.